A list of websites you should not miss when you are affected by a dangerous drug or medical device. Every single day, scholars research different diseases, scientists experiment in their laboratories and pharmaceutical companies manufacture new drugs to treat different conditions. We are very fortunate to live in a world where doctors and medicine can cure us from diseases that would have been fatal only a few years ago. Although the manufacturing of drugs is kept in surveillance by relevant government departments around the world, defective drugs are somehow being manufactured and sold. After use, the implications for a patient can be immense and difficult to fully understand. Defective drugs and devices can have devastating effects on people’s lives, take for example Hernia Mesh complications, resulting in hundreds of mesh lawsuits. To help people there are numerous sources online with information. We have made a list of 24 websites that anyone should take a look at, whether they just need general or background information or when they want to pursue legal action. Our list consists of government websites, NGO’s and law firms from around the country. Scroll through the list given below to learn more about the blogs dealing with personal injuries and defective drugs. 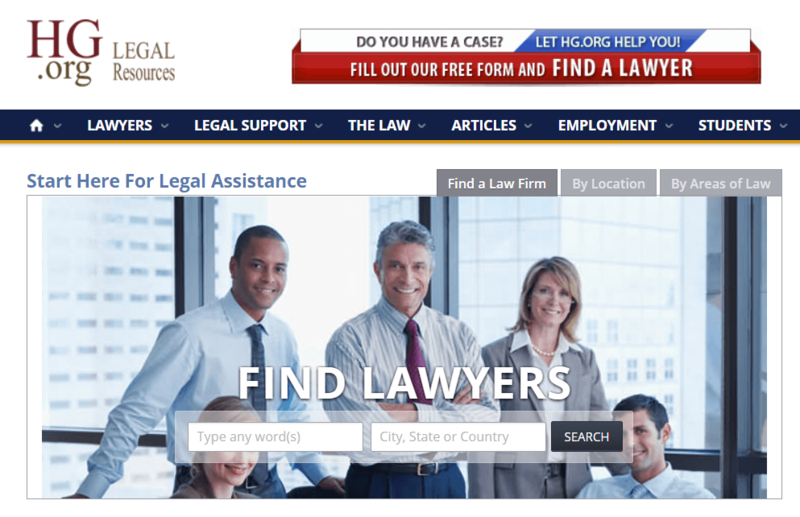 HG.org has provided free legal resources and information to the public since 1995. Their website attracts 1,200,000 unique visitors every month looking for legal help. For the best legal assistance, Court Reporters and Mediators are provided so don’t hesitate to visit HG.org. In their articles, you will find lots of help related to the misuse of drugs. This is why you must check them out. The FDA is a federal agency that is responsible for protecting public health. Its website has all the information that you may want to know about drug usage and defective medication. It will tell you also about medication errors that one must be aware of. Also, you will find here safety advice that is valuable for you in every way. For regular updates, follow their weekly articles. This is one reliable source of information related to medicines and different other drugs. They are based in San Francisco. Their blogs has valuable information about all kinds of medicine. The Iodine website does not provide information specifically pinpointing defective drugs, but they do provide general information like black box warnings and risks & warnings for medications. National Women’s Health Network is based in Washington, DC, and was founded in the year 1975. They mainly focus on women’s health. Their blogs offer in-depth positions and analysis pieces on various advocacy and current issues related to women’s health. NWHN’s Challenging Dangerous Drugs and Devices Campaign also takes on a wide array of unsafe and unproven drugs and medical devices that companies hope to build into blockbusters, fuelled by sales to women. They promote health issues to achieve their goal of improving the health of women in general. “The best doctor gives the least medicine; less medicine, more health,” this is a simple rule that An Ounce of Prevention Blog follows. They believe in quality, and their blogs focus on the cut down of excessive medicines that may bring serious consequences to your health. Here you will find a natural cure to all the health issues you can suffer from. Do have a look at it. The Provost Umphrey is a local personal injury law firm that has been based out of Beaumont, Texas for almost 50 years; however, they are known nationally as one of the most successful and aggressive trial law firms in the United States of America. 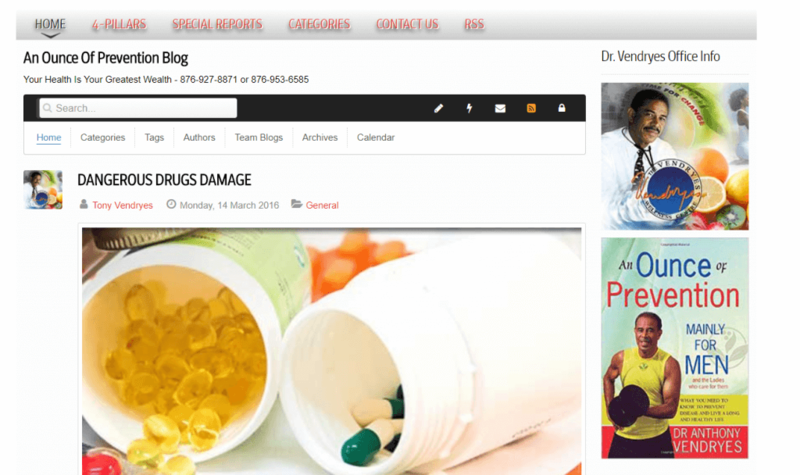 Their blogs are meant to educate consumers with clear, concise information about personal injury, defective drugs. This blog is wonderful and in my opinion, the ultimate source of injury law information. Bart started his practice decades ago in 1976, with hard work and efforts he evolved his career into a private business of providing legal service. He has six attorneys and a grand total of 35 people working with him currently. Bart makes sure that he can connect with his clients on a deeper level and uses the understanding he thus obtains to deal the matter on hand. He is one of the best attorneys you can get in matters such as personal injuries and defective drug use. Bart Durham Injury Law firm has achieved great growth for the last 2 quarters. This is blog is dedicated to helping the people in the Alabama communities. They believe in hard work and preparing every single case for trial. They teach legal seminars on a regular basis about personal injuries, dangerous drugs, wrongful death, defective medical devices and more. They have written many articles about these topics. This firm is a personal injury law firm. They have been working in the respective area for more than twenty-five years now and are based in Dallas. They have qualified lawyers who can help you with defective drug use and personal injuries. Their blogs has valuable information for you related to injuries and harmful drug intake. This is a top rated personal injury and accident law firm, based in Michigan. They are well-known for providing their clients legal representation related to personal injury and other accidental cases. They have got free books and blogs for you that are a helpful source of information in many areas of life, such as personal injuries and defective drugs. For regular updates, you can follow them on Facebook and subscribe to their Youtube channel as well. Davis & Crump is personal injury law firm. They are based in the Southeast. Their blogs are dedicated to different families and individuals suffering from injuries or wrongful death due to negligence. They provide serious information you need to know about defective medical devices, environmental torts, personal injury, accidents and more. Bisnar Chase is a personal injury firm that is based in California. They deal with dangerous defective drugs sold in the markets. Their blog is very helpful. It receives a lot of traffic every month mostly because of the dangerous products they cover in their weekly stories. To stay updated, keep checking their weekly blogs. 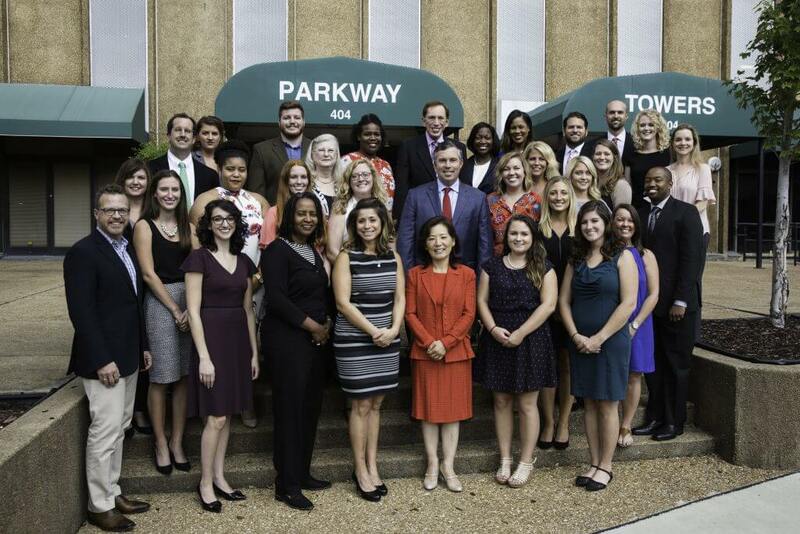 Harman Law Firm is a firm based in Atlanta. They have been serving justice to helpless people from a really long time. Their practice areas include personal injury, wrongful death, defective drugs and medical devices. On their website, you can read all about different types of dangerous drugs and harmful consumer products. ‘Kirtland & Packard’ has been representing the people of California since 1930s. They have an unmatched success rate as a personal injury firm. However, despite personal injury matters being a forte of Kirtland & Packard, they also handle non-personal injury cases and understand the complexities of such matters. You can rely on them to get top-notch legal aid in or around Los Angeles. This respectable group of attorneys have dedicated their lives to helping clients from South Carolina. This organization comprises of about 20 attorneys who share the firm goal of assisting families with their legal matters as effectively as is possible. In order to facilitate clients from different areas, various offices have been installed in different regions. This firm specializes in dealing with non-personal injuries. Utah Advocates is an experienced law firm. They provide services to people with personal injuries all around Utah and they are available 24/7. Utah Advocates cater to the needs of people who are suffering from a personal injury and are vulnerable to the perils of insurance companies etc. They take the responsibility of putting your case forward to insurance company to get you compensated for your damages. 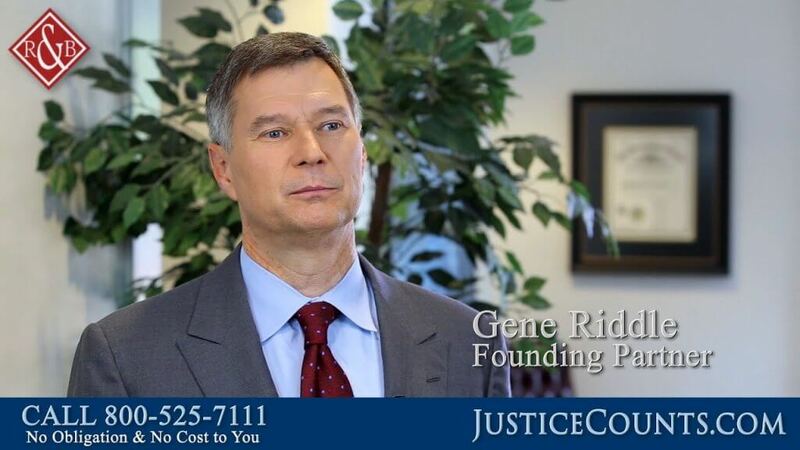 If you’re in Utah and need immediate legal assistance, call them. This law firm at Montana works like a support system during a crisis. In Montana, they have three offices in different areas where they provide their services and a group of five attorneys altogether assist the clients. They specialize in dealing the cases of defective drugs. This is an international law firm that was created by GlobalLawFirms.org. It includes law for consumers and businesses. They have explained about defective drugs in detail in their blogs including the side effects that these drugs bring and how harmful they can be for your health. 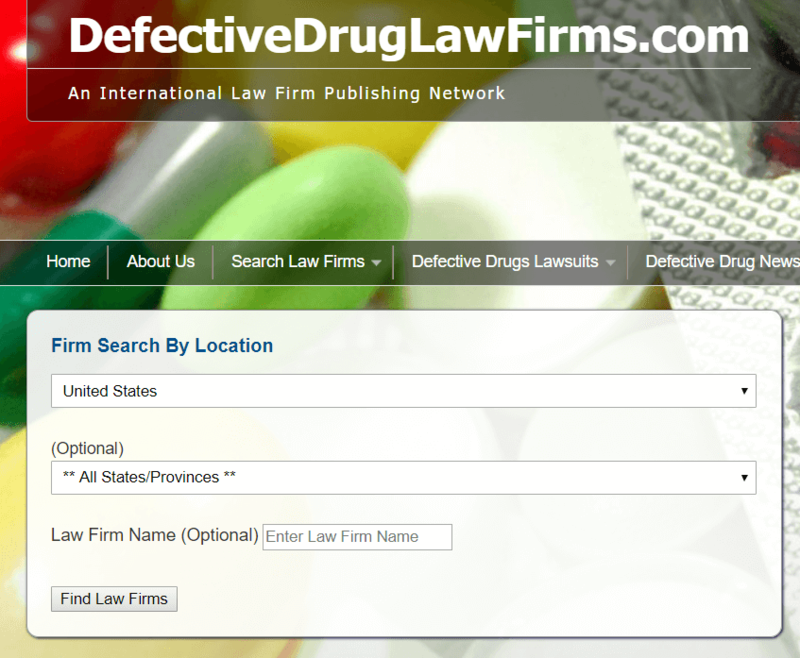 Their law firm has qualified lawyers who are one call away to help the victims of defective drugs. They donate 10% of their overall income profit to different charitable organizations working for humans as well as animals and environment. This is a versatile website that deals with all the recalled products in the United States of America. Their blogs are about agriculture, food and drug administration, consumer product safety, environmental protection and so much more. They have a specific section that has been online for more than ten years and has extensive information about defective drugs. Yellow Card scheme has played a vital role in helping achieve Medicine and Health Products Regulatory Agency its purpose. The MHRA is the British counterpart of the FDA. 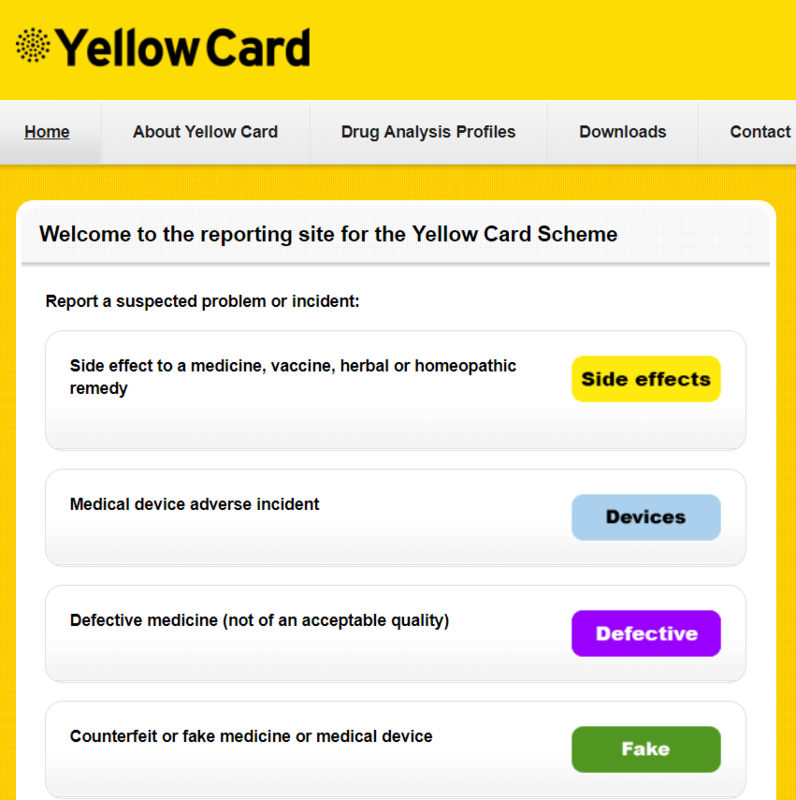 The Yellow Card Scheme has focused on collecting data about the side effects of medicines, defective drugs, adverse incidents of machines, and fake medicine etc. As part of the #FakeMeds campaign another website has been launched, click here to visit the website. This new campaign has reached over thirty million people. And about 10% of the target audience has acknowledged to being sold falsified medicine along with a whopping 39% increase in the awareness of target audience that they can be affected with fake medicines. The next round of this campaign aims to focus on slimming pills. This is a complete health guide for you that includes all the diseases and disorders along with their symptoms, causes, and cures. It also focuses on medications and treatments. It includes different drugs and their uses, their side effects, and advantages. Before taking any drug that may be defected or some medicine that is not prescribed, this is the website that you should consult. This site is dedicated to the uses of drugs, its causes and side effects as well as the addiction most of the drugs can cause. 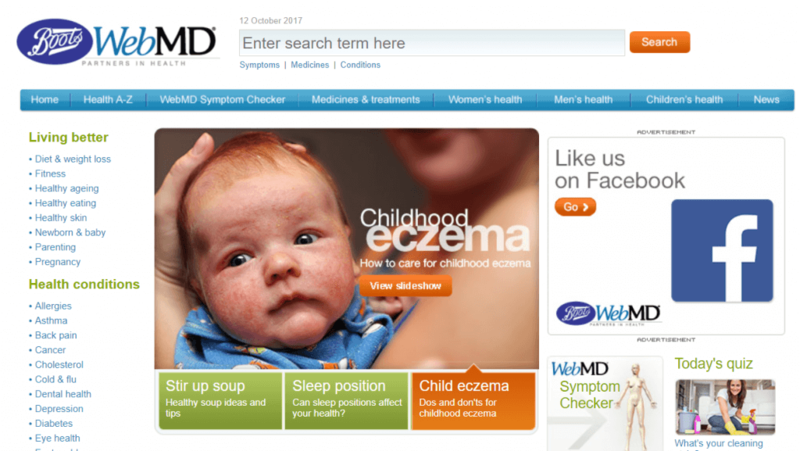 Their blogs are based on the clinical research, and they bring valuable information to improve people in health. 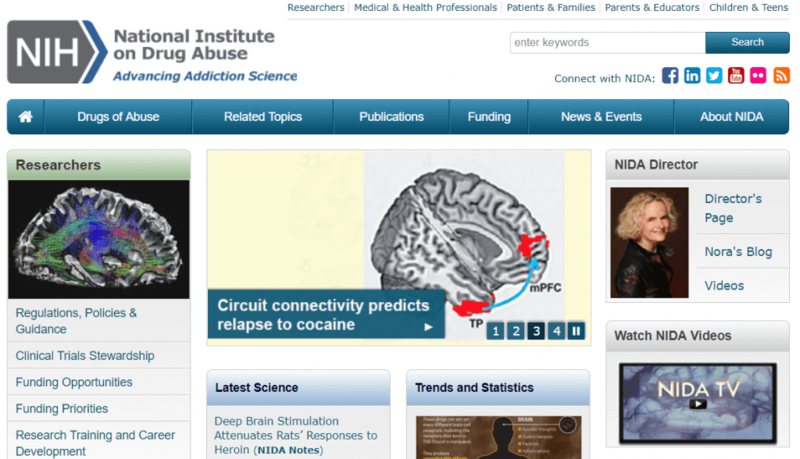 The source of information for National Institute on Drug Abuse is the National Institutes of Health; U.S. Department of Health and Human Services. You should definitely check it out. It’s important to be aware of your rights and all the ways, in which they are infringed, keeping tabs on legal drugs is as vital as keeping an eye on the illegal ones because your health and safety is of prime importance. This Naked Mind is a versatile forum which is so much more than just a blog or website; it is a whole institution with an aim to bring people out of their destructive drinking habits. 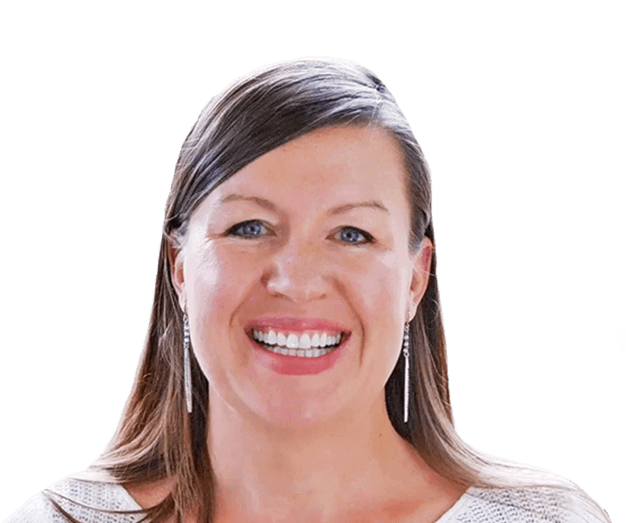 Annie Grace has published her book recently named “This Naked Mind” with the similar name and theme and it instantly became the number one release on Amazon. She has her brilliant podcasts available on iTunes. This is essentially a story of her journey to freedom. Dr. Peter R. Breggin is a trained psychiatrist from Harvard. For many decades, Dr. Breggins has been called the “The Conscience of Psychiatry”. He was a former consultant at NIMH. Dr. Breggins has spent his life on the research of drugs and psychiatry, he has taught at various institutions, authored more than twenty books and numerous scientific papers. He is a medical-legal expert with an unprecedented insight in how the medical industry commits frauds against the drug consumers or patients. His website has great information for those who seek to know more on the topic. Your recourse out of an accident can be seriously aided by this group of hardworking and esteemed lawyers. They work to serve people who need financial restitution for accidents that were preventable. They help the aggrieved parties claim compensation and damages from drivers that are negligent, insurance companies that are too shrewd and cunning to ever actually help their clients and product manufacturers who sell faulty products that can cause accidents. They are working since 1985 and have developed quite a reputation for themselves. The purpose of FDA’s testing is that prescription drugs shouldn’t harm you, but sometimes the side effects of a particular drug can only be found in a specific type of people, or they appear after some time. Therefore, drugs end up having an injurious effect on people instead of helping them. No one but the pharmaceutical companies is to be held liable if a drug injures your health, and these guys are here to help you get the damages. Contact these litigators to get your problem resolved. I’m sure you will find them very helpful. Thank you for reading this post all up to the end. 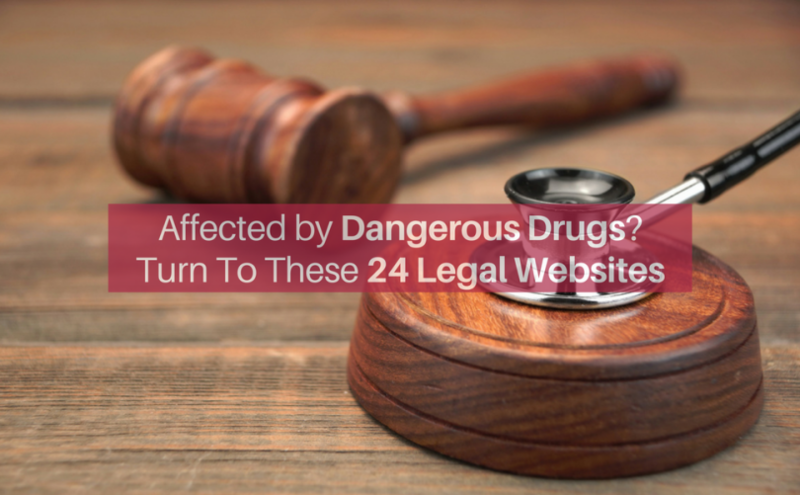 With our list of 24 legal websites you should not miss when you are affected by a dangerous drug or medical device, we did not try to be all encompassing. There are many sources online that can help you with more information. Of course we hope you will consider Drugwatcher.org as your starting point. 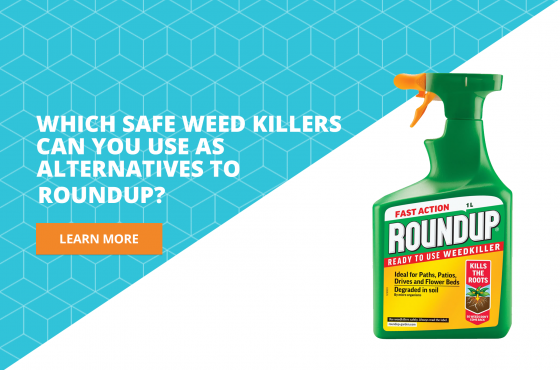 Which safe weed killers can you use as alternatives to Roundup? 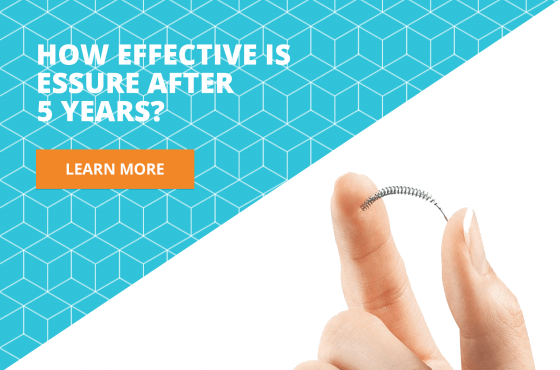 How effective is Essure after 5 years? 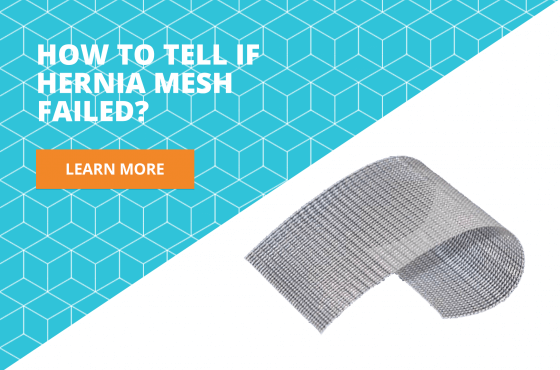 How to tell if hernia mesh failed? We inform the public about dangerous drugs and medical devices and help injured individuals to assert their rights. Information on Drugwatcher.org is not a substitute for legal or medical advice. It is provided for informational purposes only. © 2019 Drugwatcher.org | All rights reserved.